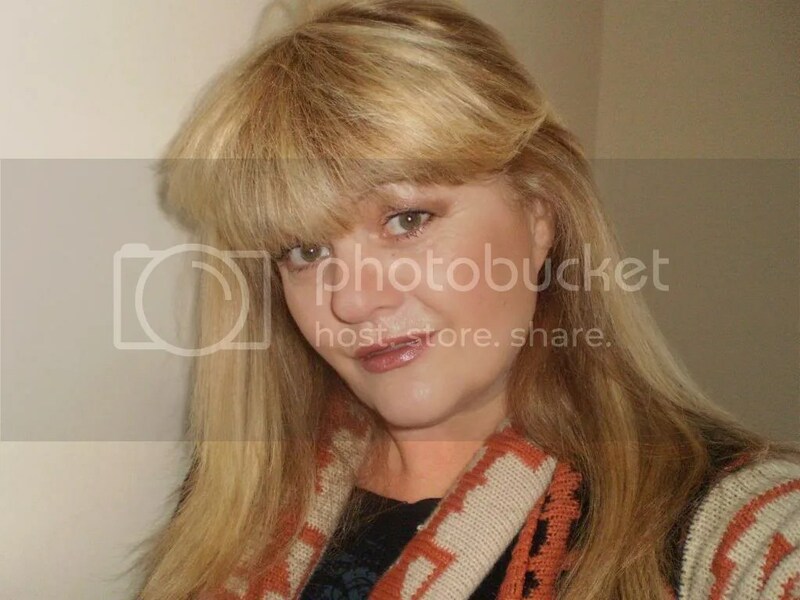 Terry Tyler is an award-winning author, writer and blogger and also blogs for the UK Arts Directory. She has seven novels and a collection of short stories on Amazon. 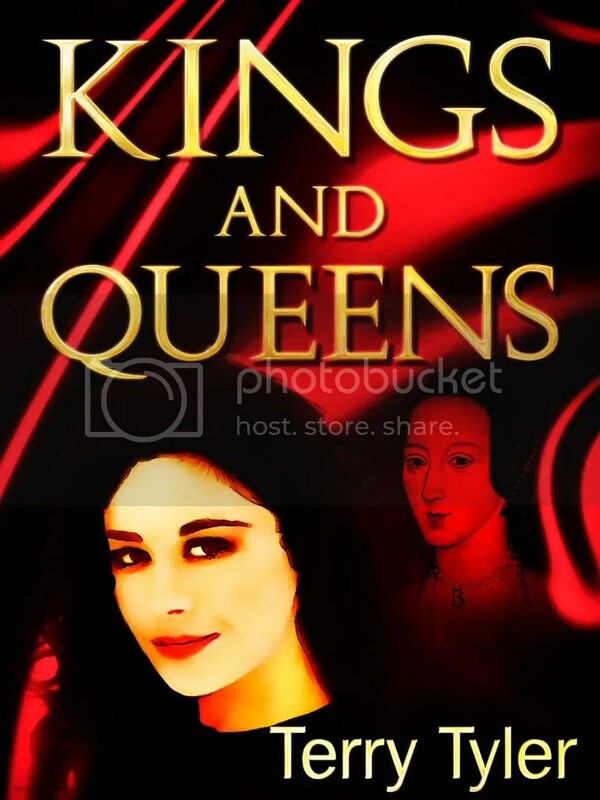 Terry writes in the genres of contemporary women’s fiction/romantic suspense; her latest book is called Kings and Queens, and is a modern day take on the story of Henry VIII and his six wives (a two-digit perfect 5* score so far!). A sequel will be started soon! Terry, it’s a pleasure having you here. Apart from your amazing writing credentials, we would like to get to know you a bit better. Could you tell us a few things about yourself? I live in the north east of England with my husband. I don’t have a great deal to tell you as I mostly live a pretty quiet life these days; I’ve had loads of different jobs (including having my own shop for 4 years, working in a psychiatric hospital, running a deli, all sorts!) and have lived in many different places with all sorts of people but am now happy just stay at home with my husband and write, mostly. We like to hibernate! I enjoy going out to the countryside and seaside, and visiting places of historical interest, too. Round and Round is a novella of about 30K words. Sophie Heron’s fortieth birthday is looming, and she is depressed about her job, her relationship, her whole life, especially since her partner, Chris, has developed an interest in which she definitely doesn’t want to get involved…. Fifteen years before, she had the choice of four men, and can’t help wondering how her life might have turned out if she’d chosen one of the others. As Sophie’s fortieth birthday draws near, she calls on Auntie Flick to show her the way forward ~ and help her look back into the past so that she can see what might have been…. Heart-warming and inspiring! Are you happy with the pace of your work? Do you aim at a specific word count each day? I am happy with it, yes, I just wish that other things didn’t get in the way, sometimes! Me and every other writer, I should think. I don’t aim at a specific word count each day, because motivation is never a problem. I spend as much time editing and re-writing as I do on the first draft, during which, of course, word count isn’t so relevant. Tiredness! I stop writing, with reluctance, when I’m tired, because I know I won’t produce my best work. When I start to get a headache and sandpaper eyes I know it’s time to pack it in for the day! I can so relate to that! Could we take a look at your workspace? Is there a particular place you find inspiring? I always write in the same place, at my desk against a blank wall! Thanks for including yourself in the picture! Now your photo is “pinned” on my Featured Writers’ Workspace Board on Pinterest. That’s one thing we have in common. I also need a blank canvas before me so that those images will conjure… Oh, the darn reading glasses too! 🙂 Apart from Word and Google, do you use any other writing or research tools and apps? Um…. yes, books…!! If I need to do a lot of research for a novel, I read a lot. I use Google for one-off facts, though, like everyone does. I didn’t know there were any other writing tools and apps! I may smile, and tell my husband… that’s about it, though! I’ve written about 17 novels over the years, so it’s not a particularly momentous moment, especially as I then go back to the beginning and start all over again with the first rewrite! I usually leave that for a few days, though. I always edit all my own work; I couldn’t let anyone do that! I feel pretty confident about it now, and can see what’s superfluous, what doesn’t flow right, what needs a bit more detail, etc. All writers need an independent proofreader – mine says she finds between 300 and 800errors in the average, well written novel. My worst thing is missing words – honestly, my proofreader (@ProofreadJulia on Twitter, the best!) finds about 300 per novel in mine! Someone else does my covers and formatting for Kindle, too. Being confident enough to do your own editing? I bet it takes seventeen books and excellent intuition! Do you have any marketing tips or favorite promotional sites you’d like to share? Ooh, far too big a subject for an interview answer! This might help, though: follow @BadRedheadMedia and @RachelintheOC on Twitter, and read her blog posts; in fact, read any blog posts you find on the subject, including mine on my blog on UK Arts Directory. In short: be prepared to spend a fair bit of time on promotion if you want to succeed, don’t rush to publish your first book before it’s ready, as if people don’t like it they won’t buy another by you , do plenty of research before paying money for advertising so you don’t get ripped off, always get your work properly proofread (I suggest Julia, or @wendyproof) and realise that securing a regular readership is a long process – it might take longer than a few months! Actually, it was through your UK Arts Directory posts I connected with you! Very insightful! Is contemporary/women’s fiction the genre you will settle in, or do you see yourself branching out in the future? I have never decided on a genre, I just write the story I want to write. I don’t think about genre when I start a novel, I worry about that later. Inadvisable, so they tell me! One of my books, Dream On, is a bit ‘lad lit’, and has never sold as well as the others. It’s got the best review average of all my books, but I think the fact that it starts off with some guys in a rock band alienated some of my readers who were used to me writing more about female relationships. I stay more women orientated now! Kings and Queens has an historical element to it, and Round and Round has a hint of the paranormal, but they’re all instantly identifiable as my books. I think it’s best to stay in roughly the same genre, because your readers want to know what to expect. Thank you, Terry, and best of luck with Kings and Queens! 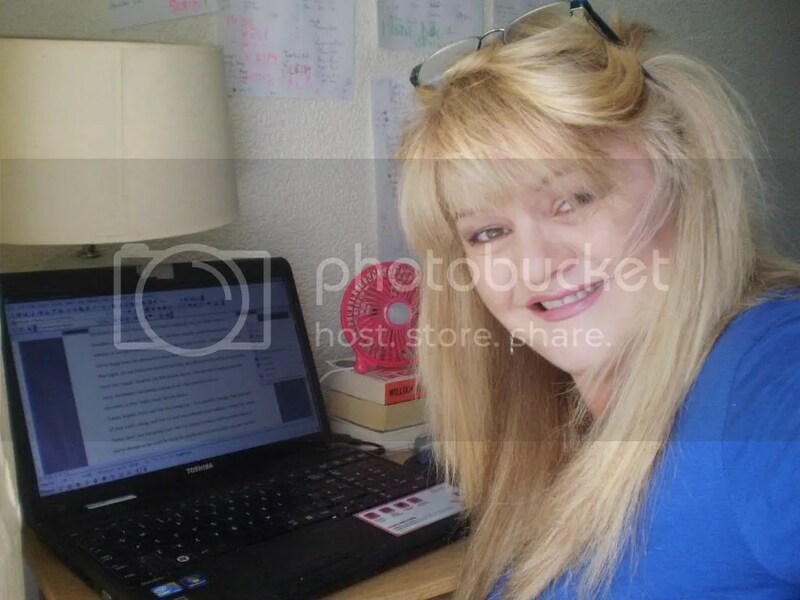 Thank YOU, Maria, for asking me to appear on your lovely blog! Thanks very much, Maria – I am a bit worried about that phrase ‘into gangster stuff’ though, ha ha!!! Looks as though I wish to hobnob with ne’er do wells! I’d just like to clarify – I am very interested in books and films about the mob, generally. Lovely. NOw I know you are a gangster, and hibernate. The picture just keeps on developing! I do my own editing also … tho my stuff gets reread by CC’s editor …whom I like as we’re on the same wavelength.What terry DIDN’T mention is how kind and generous she is with her time. She’s a busy lady, but she RTs and supports her friends. A good ‘un to have in your corner!